But the insider’s scoop comes with its share of behind-the-scenes drama. The most recent is the sudden closing of The Bagel, the popular diner/venue at College & Spadina. Last Wednesday’s comedy night, Circular Laughter Bread, was unexpectedly cancelled at the last minute by the venue’s management. And by the looks of a particular Stillepost thread, the sketchiness doesn’t end there. Only time will tell how the crisis resolves itself. If the Bagel does stay closed, the community loses a favorite eatery and music venue all in one. But it would seem the dilemma extends beyond the walls of the diner itself. 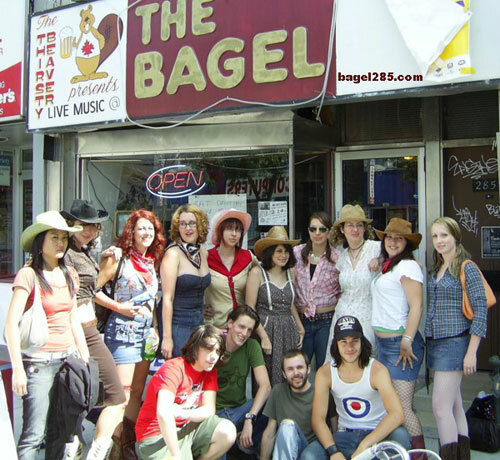 Photo of the Bagel during happier times from the Bagel’s website.